Hall Piano fall semester begins with Open House and complimentary piano lesson Saturday, September 6th. Hall Piano Company is offering an exclusive “Fall In Love with Piano” Lesson Package for the Fall Semester. In addition to a $50 discount for lessons from mid-September through mid-December, you also receive free method books. 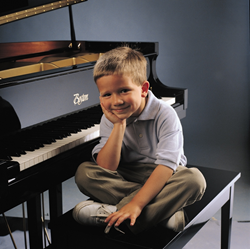 At Hall Piano Company’s Open House on Saturday, September 6th from 10:30am – 2:00pm, families can experience a complimentary trial lesson where teachers of the Hall Piano Company Music Academy can evaluate your child’s interest in learning piano. The Academy, sponsored in partnership with the Steinway Society of New Orleans, provides an opportunity for kids of all ages to explore music through the piano. From pop, jazz and classical to gospel, praise/worship and improvisation, our musical educators help their students discover abilities, set goals and enjoy the musical learning experience. Steve Kinchen, co-owner of Hall Piano Company, said, “We recognize the enduring benefits of music. Through our free method books and package discounts, we hope to create opportunities for every child to explore their interest in music. We’re giving back to the greater New Orleans community that has supported us since 1958.” In addition to piano lessons, Hall Piano’s services include piano rentals and sales, acoustic and digital piano sales, and method books. Adult lessons are also available. The Open House will be held at Hall Piano Company, 701 David Drive, Metairie, Louisiana from 10:30am – 2:00pm. There will be refreshments, package giveaways, free method books for new students, and the “Fall In Love with Piano” Fall Semester $50 discount.